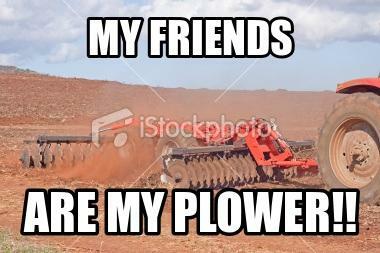 My Friends Are My Plower!! I've done it again, another random impulse to create something strange, this time i was reading a post where somebody said my friends are my power, plowers came to mind, i thought to hell with flower power, power plower!! My friends are my plower!!! Photo Information for My Friends Are My Plower! !